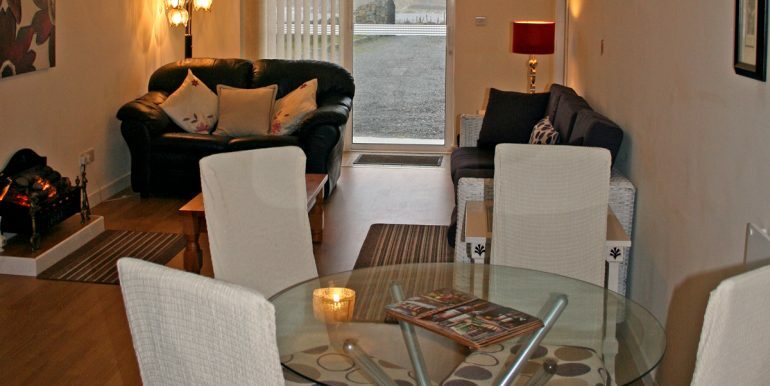 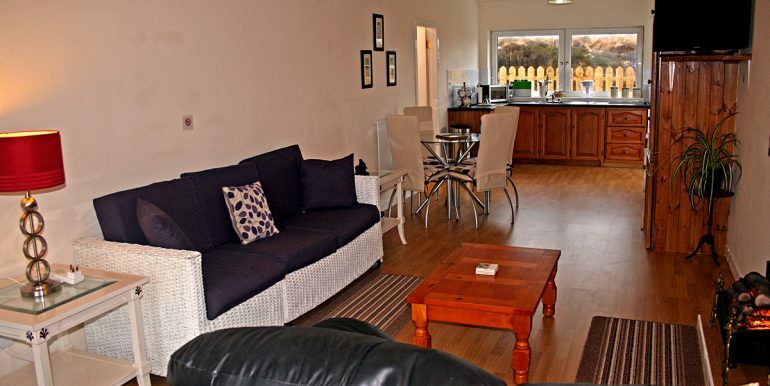 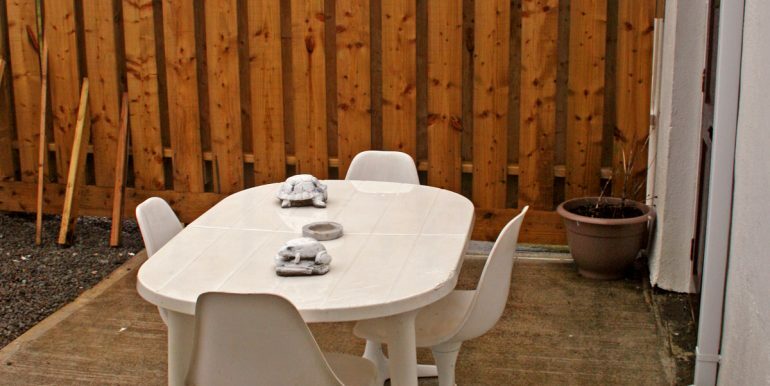 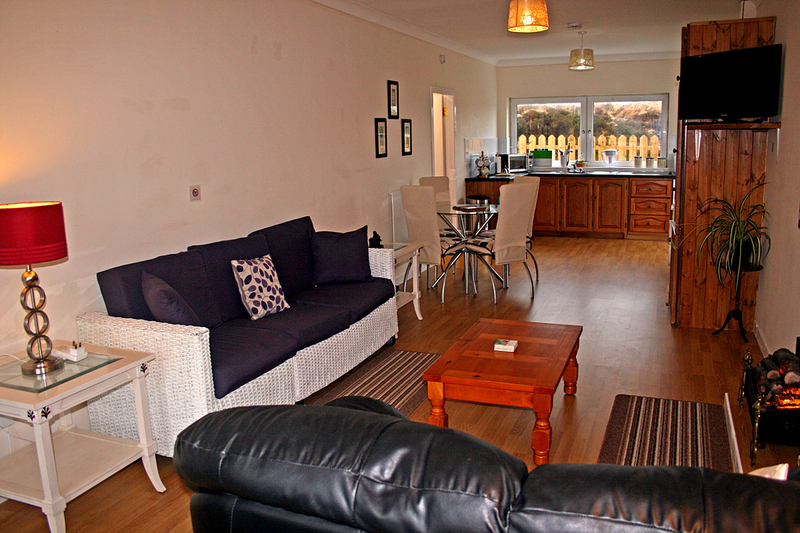 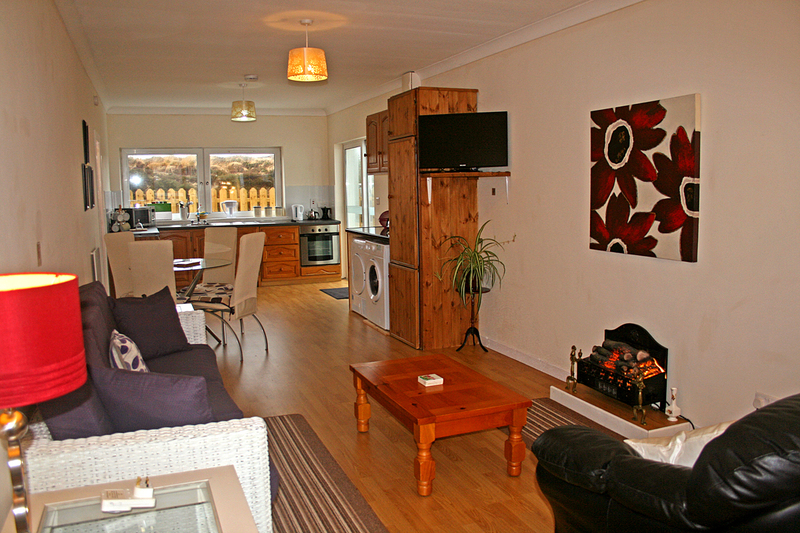 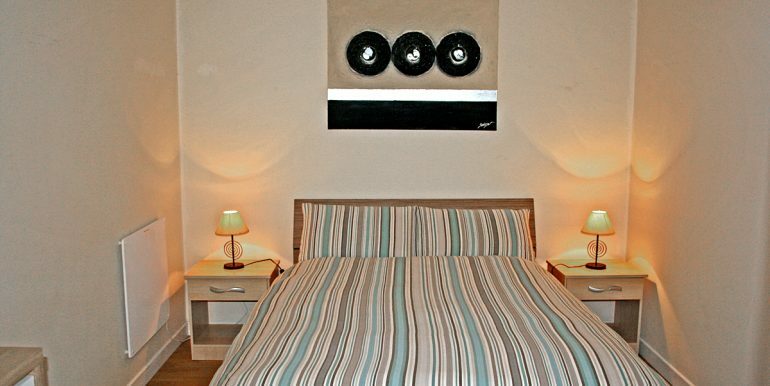 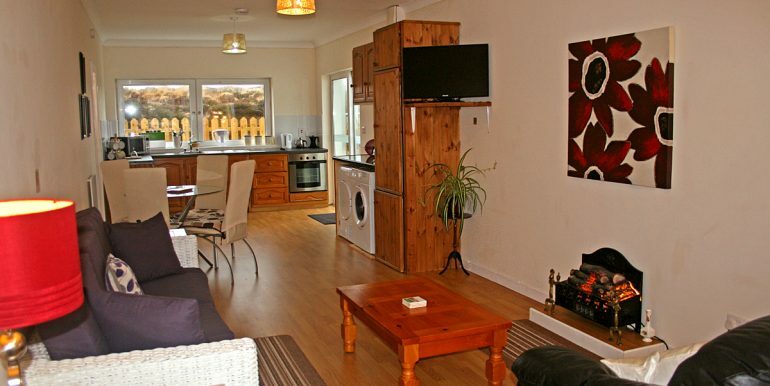 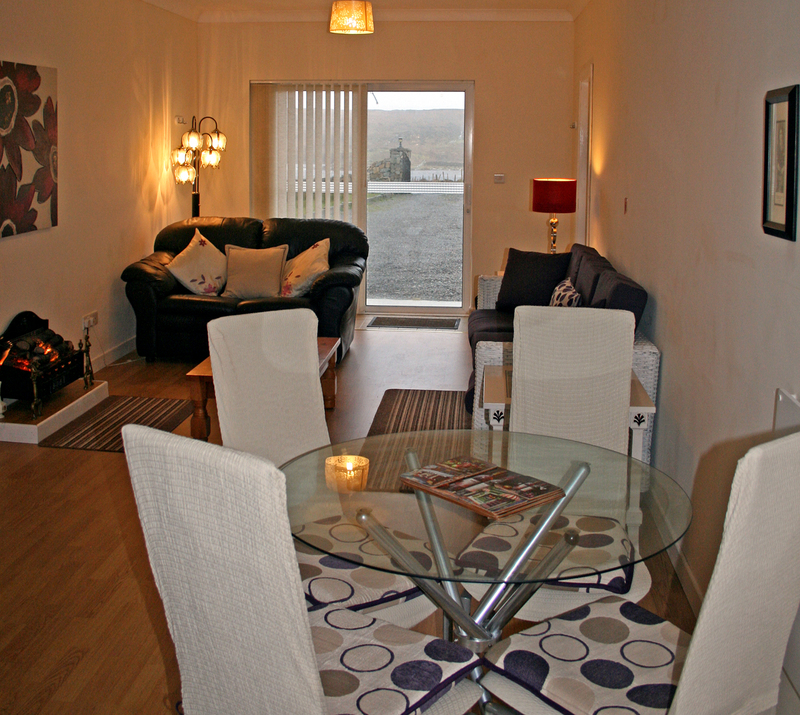 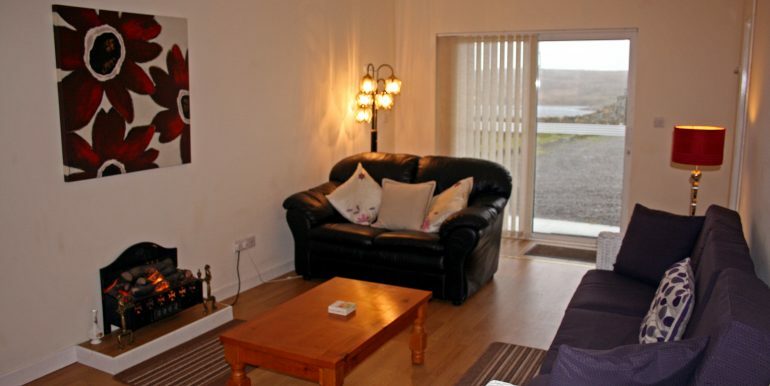 This cosy modern apartment is located along a Coastal Drive on the Wild Atlantic Way. 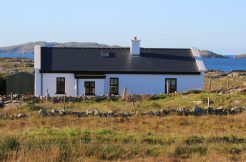 Its right at the root of Aughrus Peninsula which boasts rugged coastline and spectacular views. 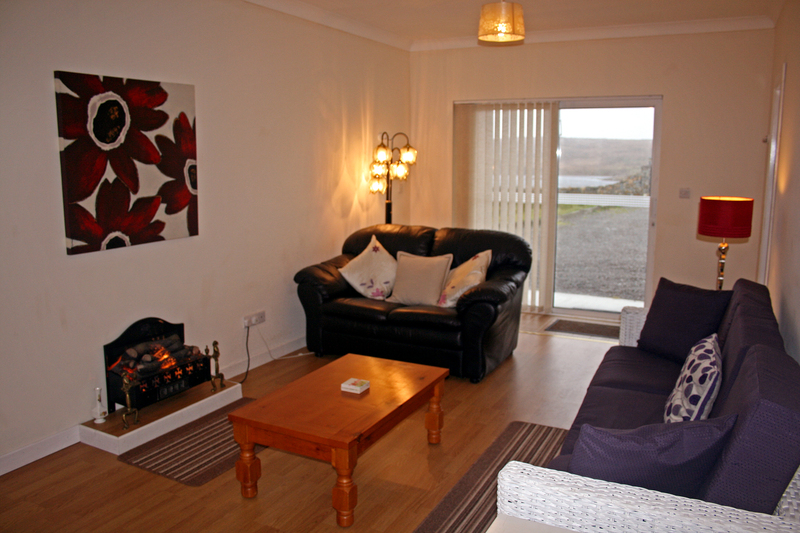 The cottage is overlooking the beautiful Coorhoor lake which has and ancient Crannog and is full of trout. 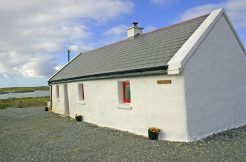 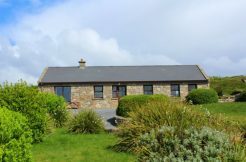 Only a 4 minute drive from Omey Strand with stunning Coastal views, it is walking distance from the Church and Sweeneys Bar is a ten minute walk. 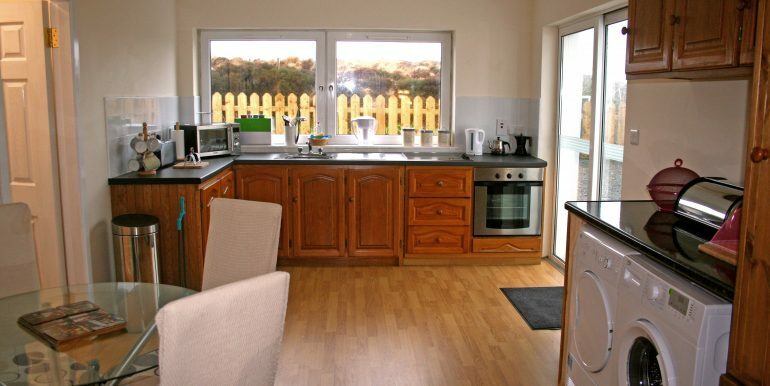 It is in an ideal spot for walking, fishing and exploring the many exceptional beaches and the rugged coastline. 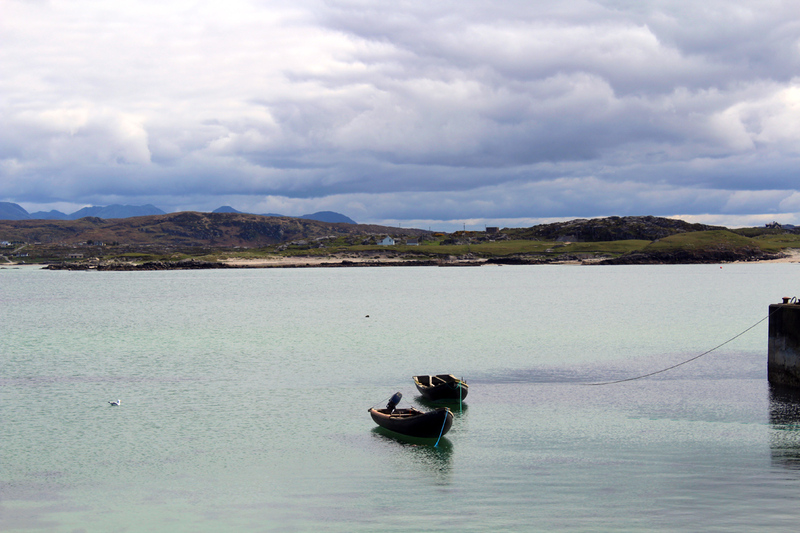 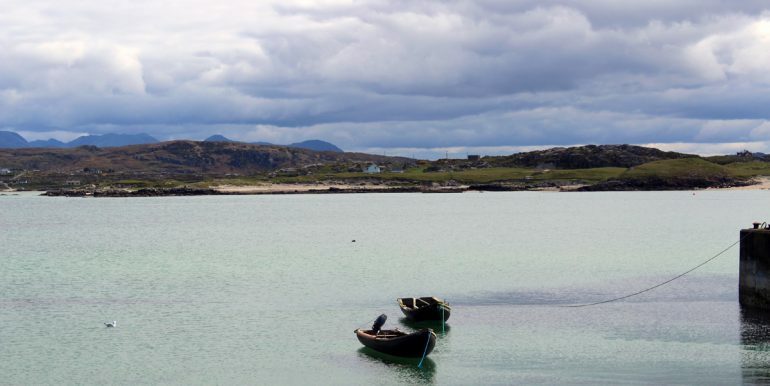 The fishing village of Cleggan is only 2 miles away where you can take the ferry to Inishboffin for the day.Clifden is about 15-minute drive away. 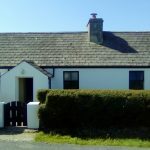 Connemara National Park and Kylemore Abbey are also a short drive away. 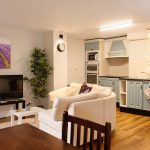 Inside: You walk in to an open plan sitting room area and kitchen, off the kitchen there is a patio door leading to a private patio area with outdoor sitting, a perfect spot to dine out on a summers evening. 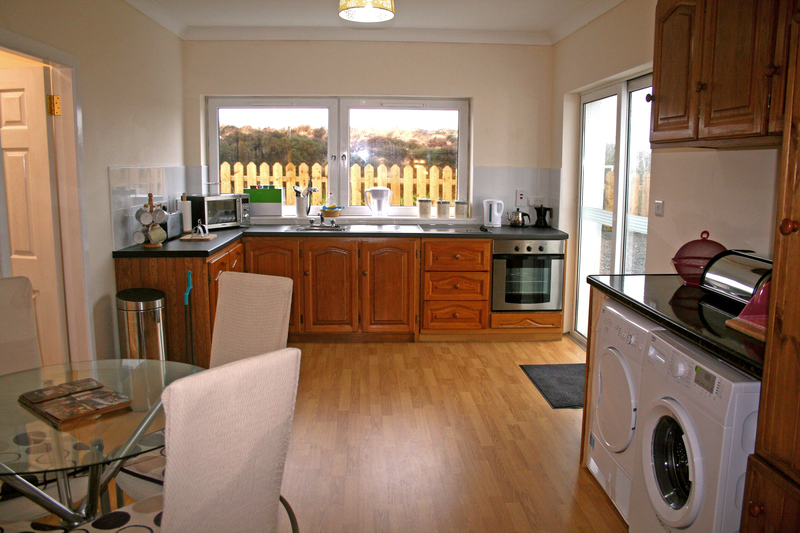 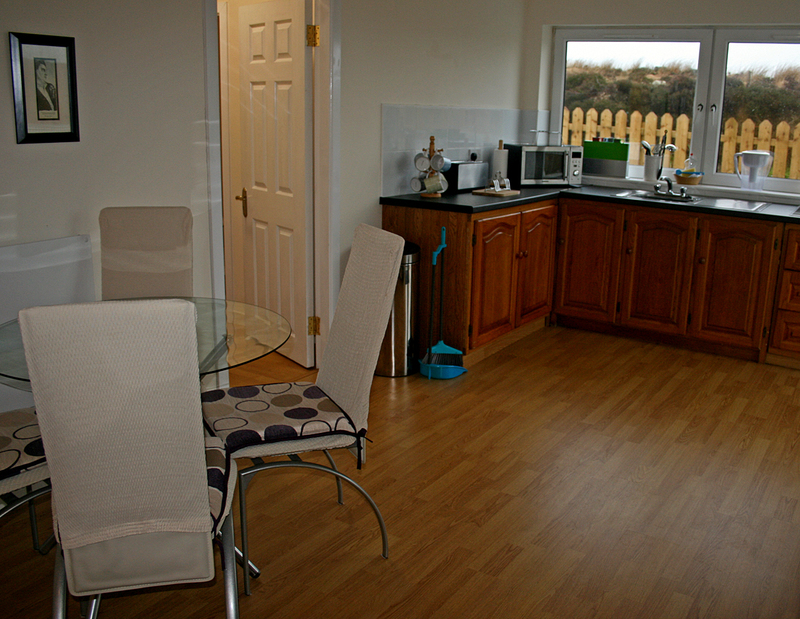 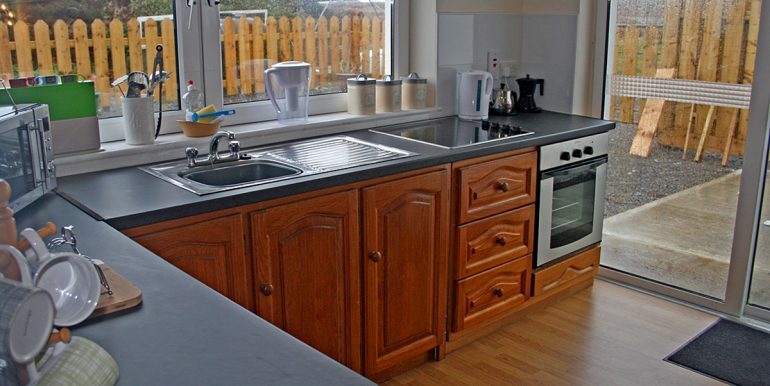 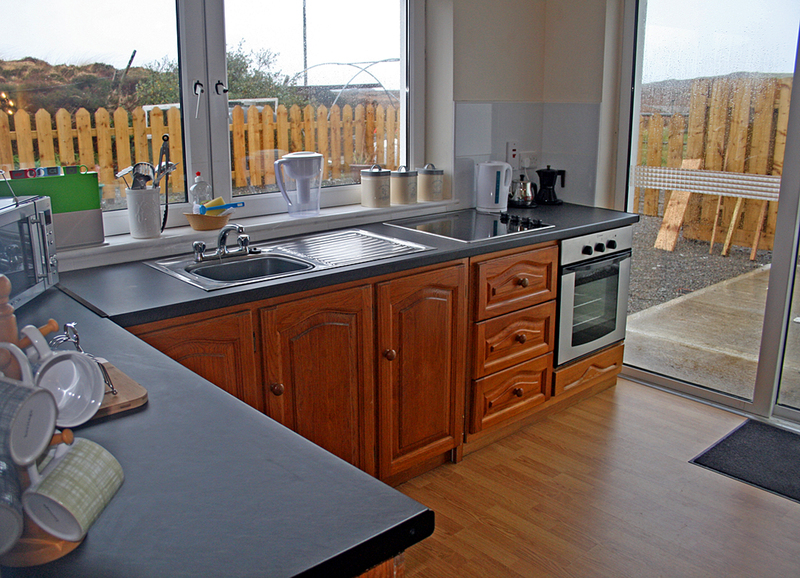 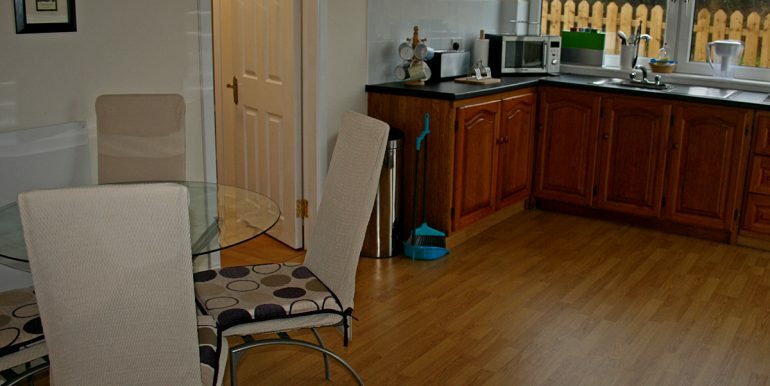 The fitted kitchen has a microwave, Fridge Freezer electric cooker and washing machine and dryer. 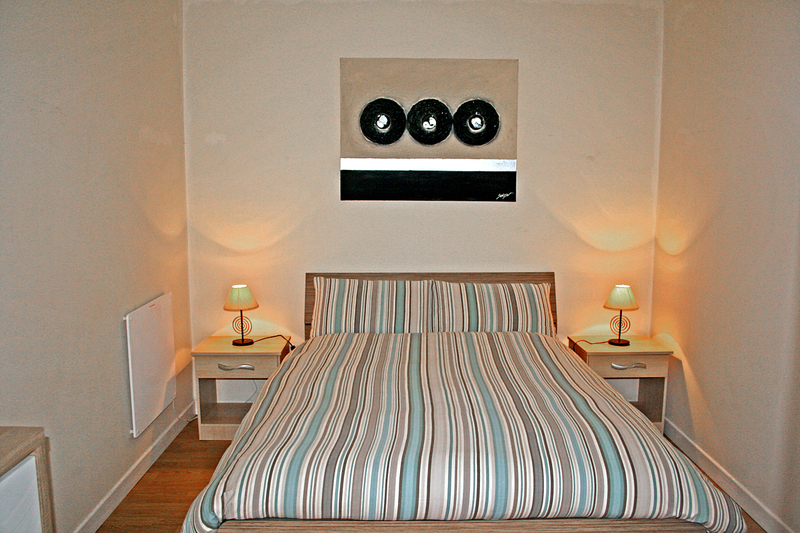 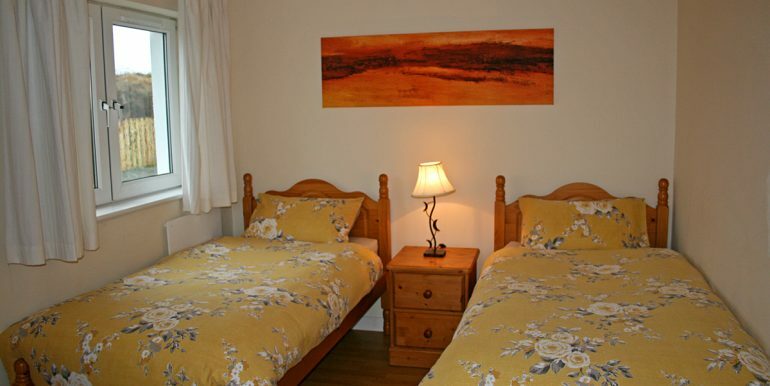 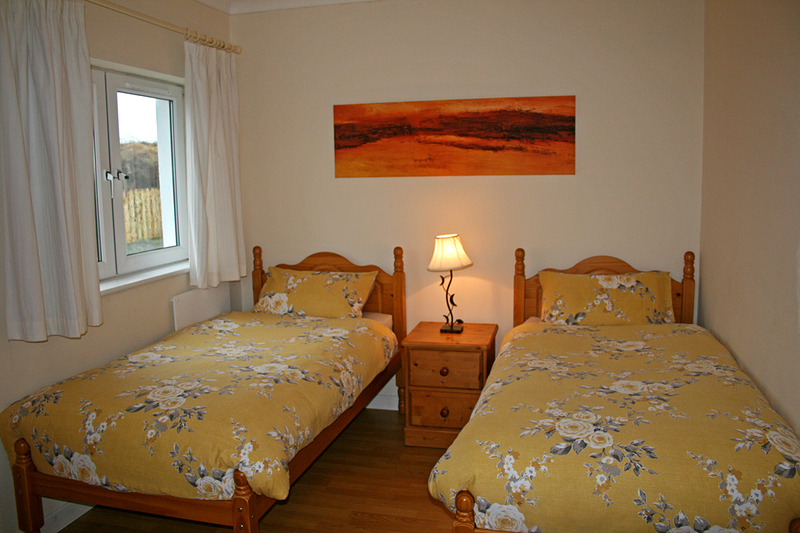 There is 2 good sized bedrooms, 1 double room and 1 twin room with wardrobes and chest of drawers. 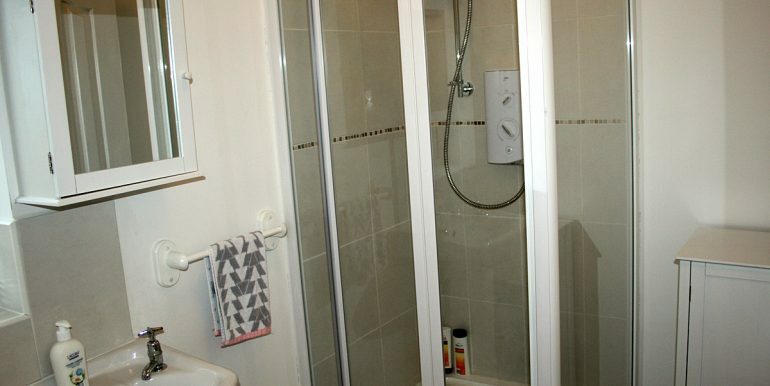 There is one well equipped bathroom with electric shower. 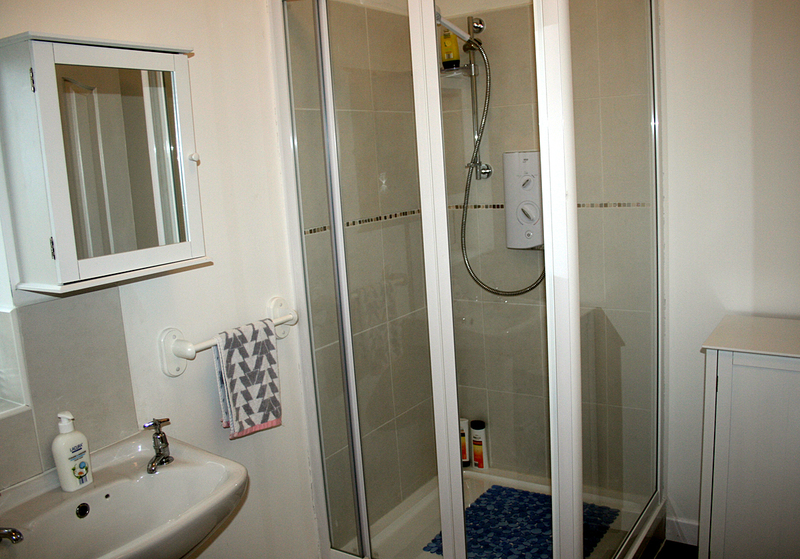 The owner lives in a separate house beside the apartment. 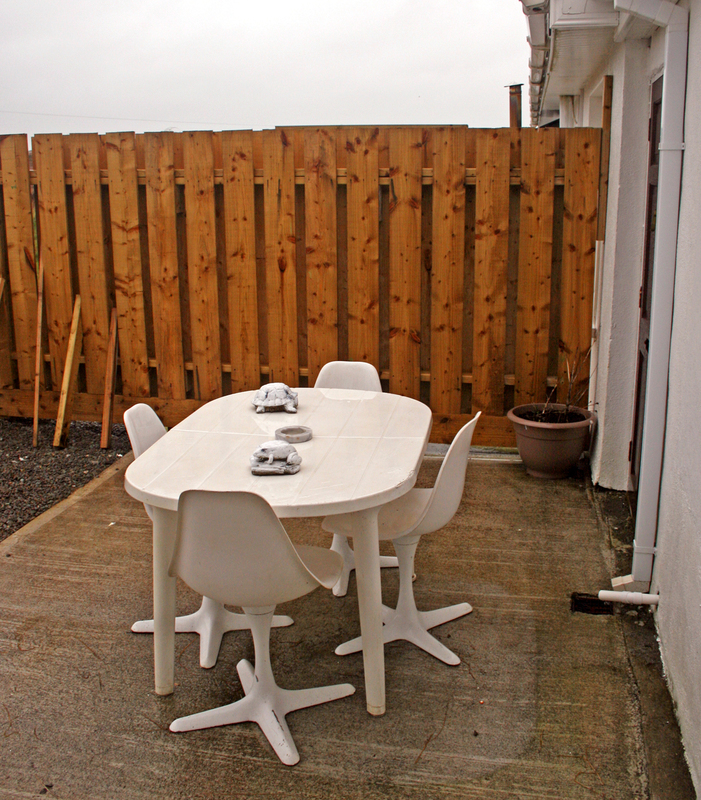 There is a shared driveway with ample parking space.